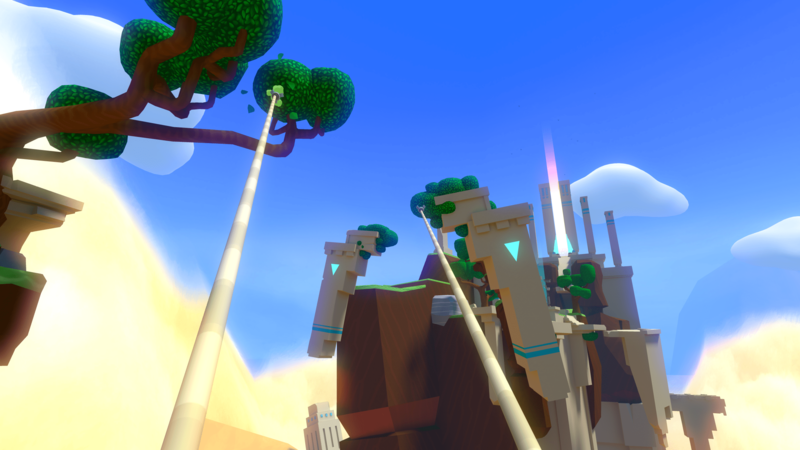 Windlands is Psytec Games Ltd.’s second VR title. It is a game that takes place in a deserted world where you go out and explore. On October 23, 2016, I sat down with Jon Hibbins, a developer of Windlands, and talked with him about Windlands, developing for the various VR headsets that are on the market, about Move support for the PlayStation VR version, the future of Crystal Rift, and he teased the idea of future VR titles containing multiplayer support. This is a three-part interview. In Part One, Mr. Hibbins discusses Windlands and its crowdfunding roots. In Part Two, Mr. Hibbins explains what it is like to develop for all three VR headsets, applying movement controls to Windlands, and the difficulties in developing for the PlayStation VR. You can follow Psytec Games Ltd. on Twitter, like them on Facebook, and check them out at their website. You also can follow Jon Hibbins on Twitter and visit his website. Windlands is out now on Steam, the Oculus Store, and for PlayStation VR. You can also buy Crystal Rift on Steam and on the Oculus Store. OR: Windlands is a game that’s available to play both in VR and not in VR on Steam. Are there any plans or discussions about porting this title over to the Nintendo Switch? JH: Oh that’s interesting question. No, I don’t think there are. Actually – I’m going to buy a Nintendo Switch. I really love Nintendo games. Full stop. All the games Nintendo do – I would still say that Wii U is one of my favorite consoles. I will get that out and play it with my children. I really love the games on it. I just recently bought [Captain Toad: Treasure Tracker] and the painting game – I have a terrible memory today. But yeah, I’ve been playing those those games and I will definitely be buying a Switch. Because if that’s the only way to get access to awesome games like Zelda, Mario, and all the other lists of things that come out on it, then I’m in. Developing for it? Well, I don’t know. We’re a VR company and we do VR. And that probably, fundamentally, is the right answer for us. But it’s interesting. I don’t think I’m that interested in non-VR. We do happen to support non-VR on Steam. We’re not gonna support non-VR unless there is real pressure for it on PlayStation. I think we know the world is transitioning to VR and non-VR is just a poor experience. And while Windlands is a great experience in non-VR and people love it – there are plenty of fans out there- it’s way better in VR. And I think that’s where we want to keep ourselves. It confuses everybody having a non-VR and VR-version. If you don’t have a headset, you’re imagining that you’re missing out on something and you’ve got this poor experience compared to the VR system. And that’s probably true to some extent. But it’s still a great game compared to any other VR games. If you’re a VR owner, and you know that there’s a non-VR version, then you think that it’s a non-VR version that’s been patched with VR support. So there’s no win in that for us. And I think the longer we’ve gone through that cycle, the more we’ve realized that if we perhaps would have only done VR. And we’ve got some insight to the sales figures and I think we should have focused more on VR, and I think going forward, our next titles will be VR-only. I think the world’s changing that way anyway. OR: Another game developed by Psytech Games, Ltd. is Crystal Rift, which was released in 2015 for the Oculus Rift and the Vive. What is Crystal Rift about and will that game be brought over to PlayStation VR as well? 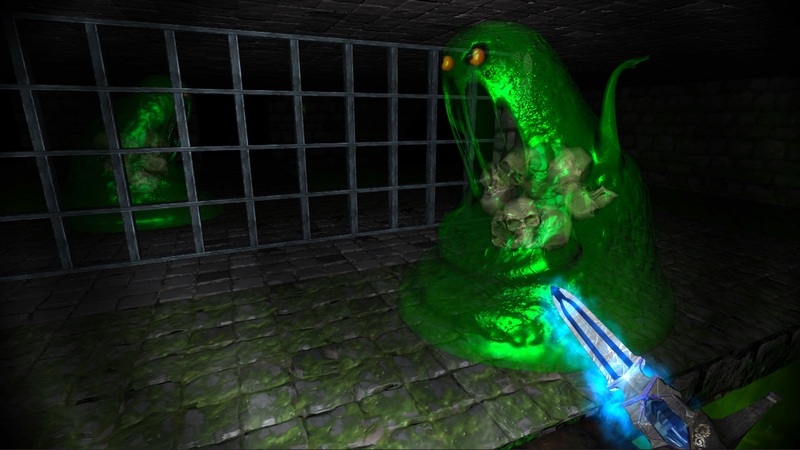 JH: Crystal Rift is basically a dungeon crawler like Dungeon Master and Eye of the Beholder, but in virtual reality, it’s a huge game. Twenty-six levels, about ten hours to complete it. Tons of secrets and stuff. Whole storyline driven thing- giant dragons, levels with worms digging through the ground- it’s just incredible, twenty-five monsters or whatever, it’s our first game. At the end of the day, we’re really proud of that game. It’s a very good game. And it’s a great experience. What I think we’ve learned about that is VR is not everybody. What we did was carve ourselves a [niche of a] small percentage of headset owners and, looking back at time, was that the right move [for us]? Probably not. But we couldn’t see the future. At the time, we thought VR headsets would take off at a much quicker pace than they have in reality. And that the market would be bigger. Yes, we will be bringing it to PlayStation. We asked ourselves ‘Will people like this in the end?’ and [we decided] ‘yes’ and it was as easy as that. It’s gonna be a bigger audience with PlayStation and I think we’ve got some really big fans. I mean, huge fans of Crystal Rift and they keep us sane in the knowledge that we built something for a certain type of person. It’s not for everyone. It’s quite scary in places. So you can adjust it from no scares to mid-level scares where you get bats coming out of the roof and things lurking in the dark to full-on scares. I wish more people would get to level twenty because there’s a twist and it’s one of these epic moments where you’re ‘oh my god’. We’ve just done such a good job of those last few levels. I think we’ve also learned that we made it a bit too long. We could have halved the length of the game and it would have still been a good value for money. But we did what we did, and we’re going to port it as-is. We’ve already gone through this different stages and we’re going towards the final stage now. I think it’s possible it’ll be out even this year, possibly November. But it totally depends on the process and what happens. So far it’s been an easier process than Windlands, because we know what to do. We have better experience now. Crystal Rift contains monsters and an atmosphere that is definitely very different than Windlands. OR: Going back to Windlands, are there any plans for DLC for this game now that it’s on PlayStation VR? JH: No. I’m not saying that we couldn’t do DLC, I think we’ve sort of moved on. We’re working on two new titles now. There’s a point where you’re like, you’ve got to make a decision, if you’re carrying on ‘that’ or making something new and more exciting. If there’s demand for it, then absolutely, we’ll consider it. We don’t want to turn away from people that love Windlands. But you know, I know enough about our next two titles to know we’re gonna be doing bigger, better, more exciting things. And those fans will be satisfied with those future projects. So hopefully, they’ll see Psytech [Games, Ltd.] as a serious studio with really great content. And that’s our next step, really. So we’re about six months into our next two projects. And they’re both very exciting. I can’t talk about them any more than to say that they’re just really cool and what I’ve seen and played so far is really, really cool. I’m really excited about them. I’m quite eager to put Windlands into improvements and stuff. I don’t want to ignore our community, I want to give the best game we can. OR: To wrap it up, you mentioned you were working on two new games for VR. Is there anything you can tell us about either one of them? JH: Well, they’re both different. No, not really. Well – I think we do more in the forefront of more than one person in a game. That’s in both title cases – is something that we see that VR [is] being a more interesting space to be in. So we’re pushing into that area. But you know, we’ve got a lot of experience now. We’ve done two VR games that have been commercially published on all three platforms. I think we’ve learned an awful lot, but we only feel like mid-ground really. We’re finding our stride now and we can see it. We can see it with the quality of our next stuff. We’ve offered the gods of fortune enough to employ amazing people as well. We’ve recently added some guy from Dreamworks – just incredible, incredible people. And they’ve got a lot of experience in what their specialism is and they’re bringing that to the table as well. And that helps us – it just helps us build better worlds. And VR will hopefully be around for a long time, and ’round two’ is not that far away. So 2018, you’ll be going ‘where’s your next games coming from’ and that’s what we’re in the process of building. Takes a long time to build a VR game itself. It’s a whole different level from standard non-VR screen [games], and it requires quite a lot of time to build. OR: Okay, thank you very much. Windlands is out now on Steam, the Oculus Store, and for PlayStation VR. Are you planning on getting Crystal Rift when it comes out for PlayStation VR? Would you like to see Psytec Games Ltd. develop for the Switch?